Investment-related articles that generate the most hype frequently focus on speculative highfliers. While there’s always a time and place for that, especially if you’re in your twenties, a well-rounded portfolio should include well-capitalized industry stalwarts. These so-called billion-dollar stocks provide an extra level of confidence in uncertain times. And uncertain is exactly what we’re witnessing in the markets today. Primarily, our new foreign policy under President Donald Trump has left many experts scratching their heads. Last month, Trump made history when he met with North Korean dictator Kim Jong Un. At the same time, the White House adopted an aggressive stance on oil-producer Iran. Naturally, these events have weighed on benchmark indices. After flirting with a recovery, the Dow Jones is back in red ink against this year’s opener. It’s difficult to determine when the markets will regain its footing. While some sectors, such as crude oil, have bounced sharply from their doldrums, other sectors, including consumer staples and industrials, have noticeably stalled. Buying billion-dollar stocks at this juncture is simply a smart strategy in light of unusual market dynamics. Here are ten heavily capitalized companies to consider for the second-half of this year. President Trump lives a charmed life. From the get-go, outrageous controversies impacted his election campaign. But as we all know, consequences did not come to “Teflon Don.” Later, as POTUS, Trump rattled foreign-policy experts with his unorthodox directness. Yet if current trends continue, Trump could potentially craft peace in the Korean peninsula. Cynically speaking, peace is great for humanity, but not so much for billion-dollar stocks like Northrop Grumman Corporation (NYSE:NOC). Not too take anything away from the defense company’s innovative technologies, but NOC thrives under the threat of warfare. For the military-industrial complex, North Korea might as well be a giant cash register. So I understand the initial reason why NOC stock slipped. Last month, shares dropped 6% in the markets. On a year-to-date basis, NOC is just 1% above parity. But I believe the selloff is overdone, presenting opportunities for shrewd investors. Just look at Northrop Grumman’s financials, which are a head above several billion-dollar stocks in the defense sector. NOC has a fairly stable balance sheet, highlighted by an improving cash-to-debt ratio. On the income statement, Northrop features above-average profitability margins. Finally, year-to-year, NOC has consistent free cash flow. Thanks to high-profile projects such as the F-35 Lightning II fighter jet, Lockheed Martin Corporation (NYSE:LMT) may be the most recognized among defense-related billion-dollar stocks. 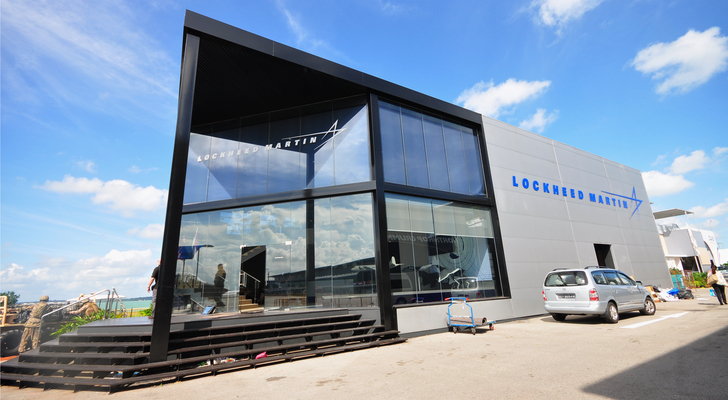 That said, Lockheed Martin’s market performance is rather disappointing. On a YTD basis, LMT stock is down nearly 6%. Essentially, the entire loss can be pinned on June’s volatility, where LMT dropped 6.8%. Of course, this was the month where President Trump and Kim first met face-to-face during an unprecedented summit. As with Northrop Grumman, Lockheed thrives under conflict. After all, what’s the point of developing the world’s best fighter jet if you have no need for it? Also, Lockheed’s management team isn’t doing LMT stock any favors. In recent years, the defense contractor has racked up substantial long-term debt, with only a modest rise in cash. Also, shares appear overvalued relative to the defense industry. But I think traders overestimate Trump’s ability to negotiate peace with North Korea. It’s tempting to believe that he has the Midas touch given his prior, shocking successes. And no, we shouldn’t doubt our President to pull off another miracle. But this is North Korea that we’re talking about. We’re still a long ways away from putting our guard down, which is why I’m bullish on LMT eventually recovering. Technically, Sturm Ruger & Company Inc (NYSE:RGR) just misses the cut-off to be included in my list of billion-dollar stocks. However, if RGR pulls together a few good sessions, it could easily reach and exceed the minimum threshold. Plus, gun companies offer an overlooked bull case. For both moral and performance reasons, mainstream analysts usually shun RGR stock, which I think is a mistake. According to a 2016 John Hopkins study, “medical errors may kill more people than lower respiratory diseases like emphysema and bronchitis do.” That, according to CNN, would mean “death by doctor” is a far worse killer than firearms-related deaths. We can argue all day about the statistics. My point is, wayward doctors are dangerous, yet no one threatens to ban all hospitals. Moreover, people who avoid RGR for moral or political reasons are likewise avoiding potential profitability. One of the biggest developments in the firearms sector is the Concealed Carry Reciprocity Act. If fully passed, the bill enables concealed-carry permit seekers an easier road to acceptance. Long story short, the weakest state towards gun control – namely Florida – will become the standard for every other state. This means Californians, which have long been denied such permits, can apply for them with reasonable assurances of acceptance. That bodes very well for RGR, which boasts a wide range of concealed-carry specific firearms. Despite the many foreign-policy controversies that Trump generated, he has one economic ace up his sleeve: a robust labor market. Specifically, the civilian unemployment rate has trended down throughout his administration. Sure, critics argue that former President Obama set the foundation for employment opportunities. Still, Trump did his part by implementing his pro-business agenda. Most importantly, businesses feel confidence towards the current administration in spite of its obvious flaws. 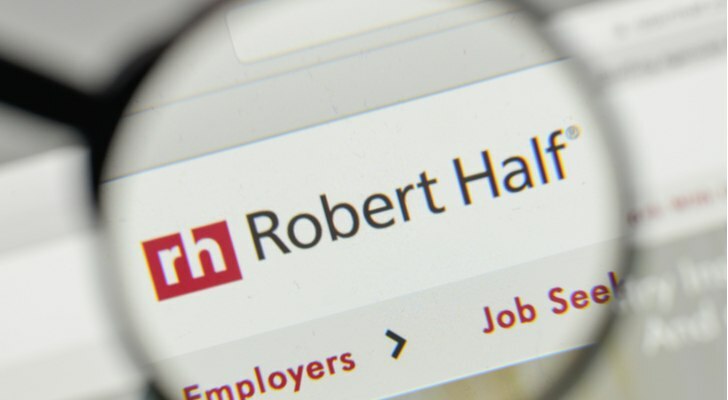 That’s why I think investors should consider staffing agency Robert Half International Inc. (NYSE:RHI). Set aside all the politics: it’s clear that companies are in hiring mode. Even I’m receiving dozens of email solicitations from RHI businesses, and I don’t expect them to stop. Furthermore, the job offers aren’t the usual high-volume, low-wage fares. Instead, several of the solicitations are frankly tempting. Admittedly, my story is anecdotal. But the declining unemployment and the currently positive consumer sentiment are very much real. Save for a catastrophic event, you may expect the labor market to at least hold steady, which is positive for RHI stock. On a technical note, RHI is down more than 6% since mid-June, providing a decent discount. Medical care and health services is becoming an obscenity. In 2016, healthcare costs hit $3.3 trillion, or $10,348 per person, according to Centers for Medicare & Medicaid Services. This year, Reuters reported that healthcare experts project a 5.3% increase in medical-related costs. No wonder why Tenet Healthcare Corp (NYSE:THC) sports a $3.5 billion market capitalization. But the real story is how quickly it got to that level. THC is one of the hidden gems among billion-dollar stocks, gaining over 126% YTD. That said, its incredibly lucrative industry could continue to support THC move higher for the rest of 2018. Tenet is a major player in the hospital and outpatient business. At present, the company owns 68 hospitals and 470 outpatient centers across 47 states. It also employs 32,000 active physicians, and 33,000 nurses. The one drawback to THC stock is that its financials aren’t as great compared to its peers. For instance, Tenet carries substantial debt relative to its cash position. Also, its three-year revenue growth is middling compared to the medical-care industry. However, the counterargument is that America is aging rapidly due to the Baby-boomer demographic. As a longer-term investment, THC still has plenty of life left. 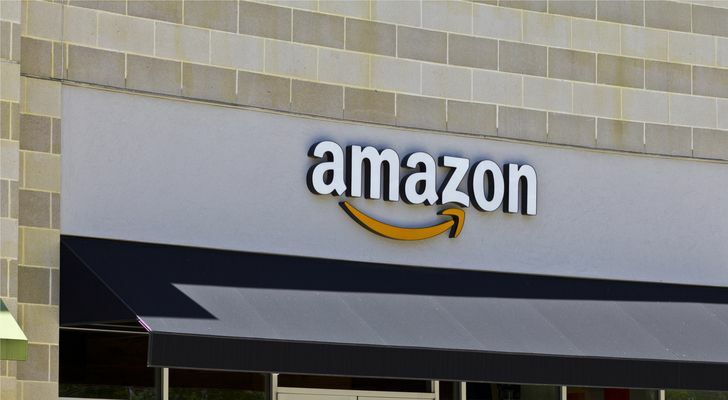 At some point, Amazon.com, Inc. (NASDAQ:AMZN) will no longer be eligible for a list of billion-dollar stocks. Instead, it will join Apple Inc. (NASDAQ:AAPL) as the elite few companies who have hit $1 trillion in market cap. For now, both companies must settle for their multi-billionaire status, with Apple clearly in the lead. But if I’m being completely honest, I like AMZN to hit the $2 trillion threshold first. I’ll freely admit that this point is pure conjecture. But in Apple’s case, their business depends on selling their products and services. With Amazon.com, you get everything and the kitchen sink. It’s possible, considering the wide array of Amazon products infiltrating everyday life on a seemingly monthly basis. You can practically live your entire life within the Amazon ecosystem. I don’t disagree with Brumley. Back when Apple was on the verge of making history, I entertained the idea that Amazon could overtake it; I just didn’t have the intestinal fortitude to write it down for publication. But the bottom line is that AMZN is an automatic investment, a pure no-brainer. Consider that last year, we we’re having heated debates about where shares go after hitting $1,000. Now, the conversation is about going for $2,000. Over the next several years, don’t be surprised to see bitcoin-like prices. Although it’s a risky idea, I like Capital One Financial Corp. (NYSE:COF) due to the current economic situation. As I previously mentioned, the labor market is very strong, highlighted by multi-year low unemployment rates. In addition, consumer sentiment is strong, indicating that American families are willing to splurge a little. That’s a net positive for credit-card issuer COF, which represents a paradigm-shift from several years earlier. This is also the reason why I’m willing to set aside some weaknesses in Capital One’s financials, such as high debt, and declining annual margins. A stronger labor market will likely translate to higher sales. In fact, we’re already seeing that. In its latest first-quarter earnings report, COF generated $6.74 billion in revenues, up 5.3% against the year-ago level. Right now, COF stock is down more than 6%, indicating that traders are still focused on the company’s weaknesses, and not its potential. That suits me just fine because Capital One is best suited for smaller, everyday purchases, which is the kind of purchasing that is readily available now. What Americans, especially younger ones, are not doing are major acquisitions, such as home ownership. It’s a cynical argument, but COF has an ideal situation: an economy that’s strong, but not too strong. I’ll say it right now. 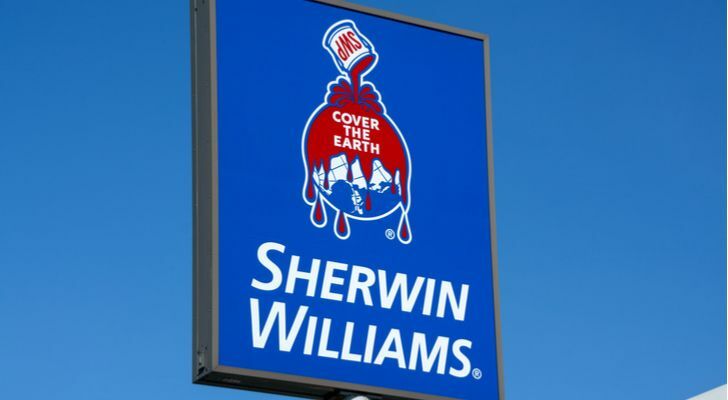 I don’t know anybody who gets excited about investing in Sherwin-Williams Co (NYSE:SHW). Buying SHW is perhaps the investment equivalent of watching paint dry. But herein lies the company’s longer-term potential. For those who were lucky to have bought real estate prior to the market going bonkers, companies like Sherwin-Williams provide an easy means to boost home values. Additionally, their website offers multiple instructional videos and tutorials for individuals looking to upgrade their home’s appearance. More importantly, the boom in real-estate prices has had a positive impact towards Sherwin-Williams’ financials. In Q1, SHW brought in nearly $4 billion in revenue, up a staggering 44% from the year-ago quarter. As The Motley Fool contributor Joe Tenebruso points out, Sherwin-Williams has a significant advantage over rival Home Depot Inc (NYSE:HD) because the former makes its own products. With Amazon and the e-commerce industry disrupting traditional sectors, SHW can use its brand-power as a protective moat. Finally, SHW stock is a secular play. If you need to paint or renovate your home, you can’t put it off forever. President Trump is enamored with his own direct style towards foreign policy. Inexplicably, his no-nonsense, shoot-first, ask-questions-later approach has paid off dividends. Yet a conspicuous weakness towards political directness is that it locks you in. Flexibility is a virtue, while inflexibility is a liability due to the lack of available options. I think Trump and the American public will find this out the hard way. We’re playing hardball with the Chinese, while we’re deliberately throwing at the batter’s head with Iran. 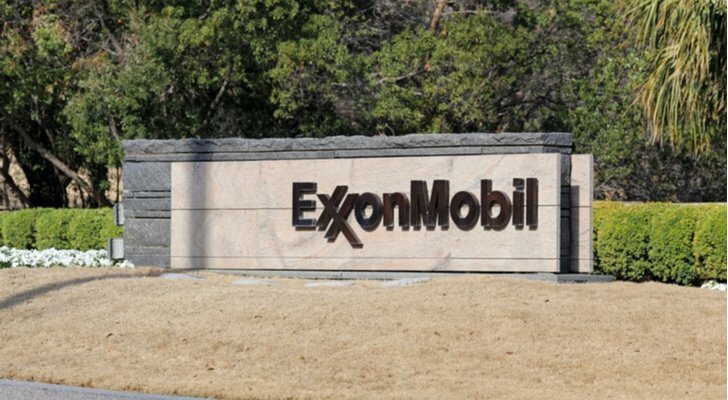 This dynamic is a substantial headwind towards crude oil supplies, which in turn is bullish for Exxon Mobil Corporation (NYSE:XOM). While speculative oil companies are much more exciting than the majors, Exxon Mobil’s stability shouldn’t be overlooked. Since the energy market crashed in 2014, management has focused on cutting waste and unnecessary expenditures. As such, it’s a leaner, meaner version of itself, and is well-prepared to handle a boost in oil prices. And that’s exactly what we’ll probably get. Iran is the world’s third-biggest oil producer, and we’ll lose access to that enviable channel. Knowing this, XOM stock will rise sooner or later. I hate to admit it, but gold prices have been disappointingly poor. I’m noticing a pattern, which is that the yellow metal starts off promisingly, only to bitterly fail later. Last month was particularly volatile for gold, sending it down well below the critical $1,300 threshold. But despite this disappointment, I don’t think we’ve heard the last from the precious metals sector. 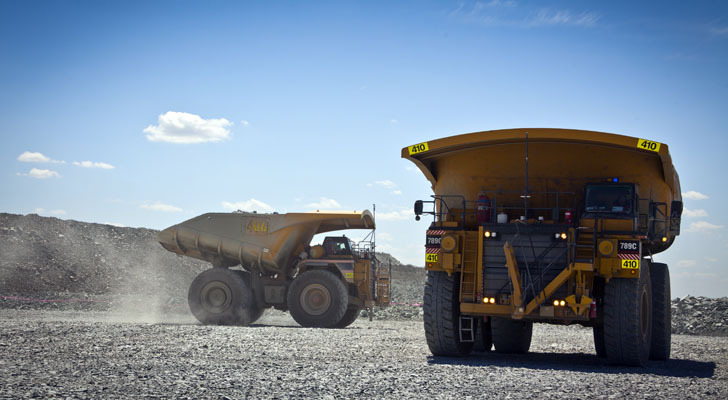 It is a risky play, though, so only consider Barrick Gold Corp (USA) (NYSE:ABX) if you’ve got an iron stomach. If you do, I think you’ll end up being pleasantly surprised with ABX stock. In some respects, I understand why gold, and gold stocks aren’t meeting expectations this year. As with defense stocks, fostering peace with hostile nations does away with the “fear factor.” Buying gold bullion to thrive in a post-apocalyptic world is pointless if the country threatening us with that scenario is no longer considered a threat. But I don’t trust North Korea, and I’m also leery about Trump’s Middle Eastern policy. If something sounds too good to be true, it usually is. We’re not done with the fear trade, so I’m still bullish on gold stocks like ABX. It may be a loser now, but I’m almost certain the gold market will turn around. Article printed from InvestorPlace Media, https://investorplace.com/2018/07/10-billion-dollar-stocks-for-q3-and-beyond/.